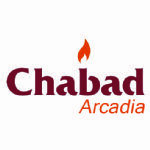 Chabad of Arcadia is a registered 501(c)3. All donations are tax deductible. "Send or request money from friends for FREE! Most deposits to your bank account are INSTANT!"